And are enriched with Omega 3 & 6 fatty acids to help nourish your dog’s skin and coat. Prime 100 Skin & Digestion 200 (Sk-D200) rolls are specifically made for dogs with suspected food sensitivities, skin allergies/problems or digestion problems. 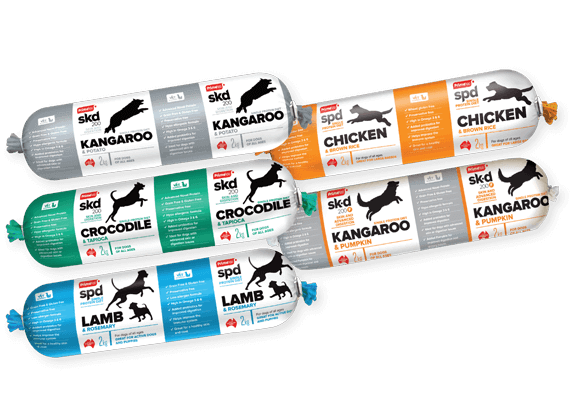 Each Sk-D200 roll is a highly novel hypoallergenic Single Protein Diet with added probiotics, vitamins and minerals allowing you to maintain your dog’s health and wellbeing.